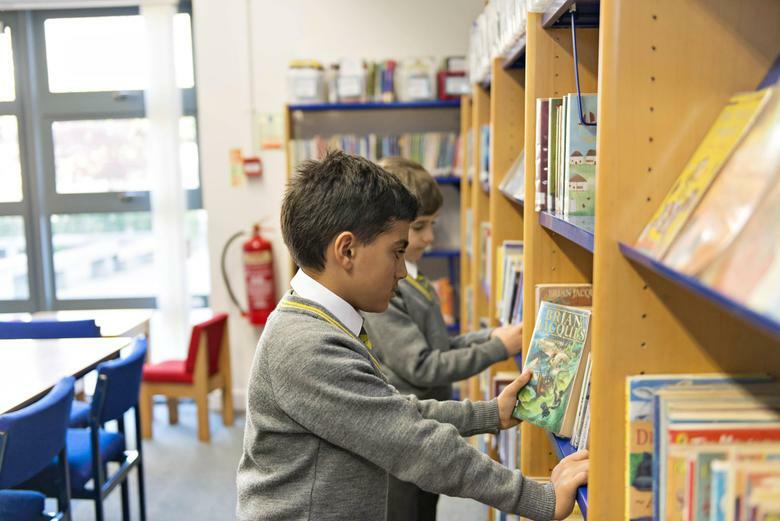 It is "the best place in school" and is helping to foster a love of books and of reading for pleasure, which we hope will stay with the children throughout their lives. It is next door to the ICT suite, opposite the Reception classes, and is open each day. Our librarian, Mrs Early, is in school on Tuesdays and Thursdays and is happy to help you until 4pm on those days. The library has a large stock of both fiction and non-fiction books, suitable for all ages throughout the school. This is in addition to the books contained in the various classroom reading corners. The non-fiction section has books covering most of the topics covered in the curriculum, as well as a wide variety of books of general interest, from poetry and plays to technology, via sport, history, pet care and much more. Non-fiction section is arranged using a simplified version of the internationally recognised Dewey classification system. The fiction section includes a large number of bright and exciting picture books and early readers, but also aims to appeal to both the keen and the less enthusiastic reader at every stage with an excellent selection of great books by authors old and new.